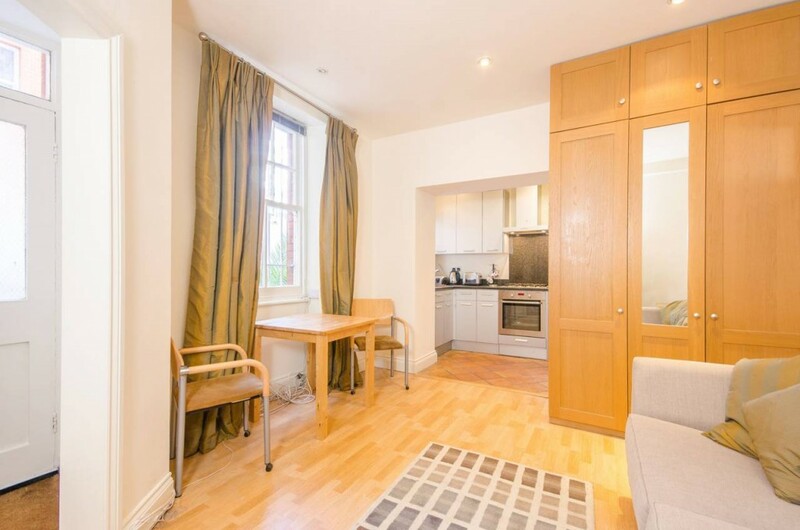 This clean and stylish Kensington studio flat rental is ideal for the individual who wants to afford themselves all the benefits of living in Kensington, yet while on a budget. 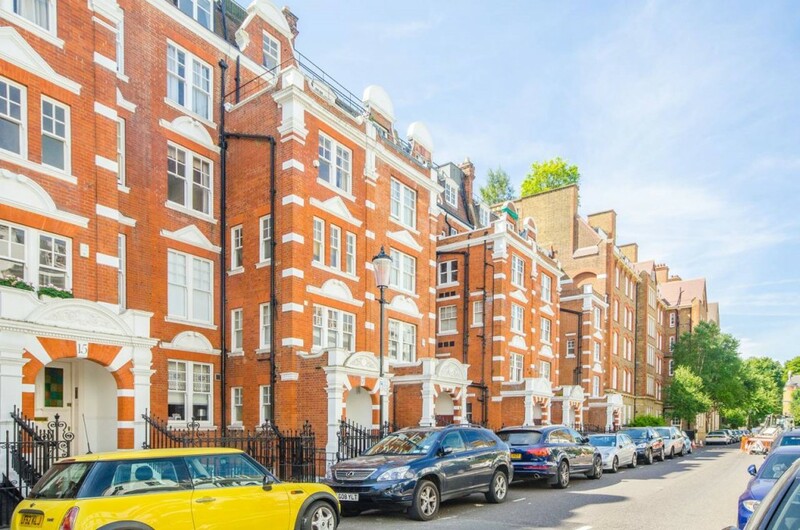 For just over £300 a week this fresh and bright Kensington studio flat is the perfect way to enter the up and coming affluent area of Kensington. 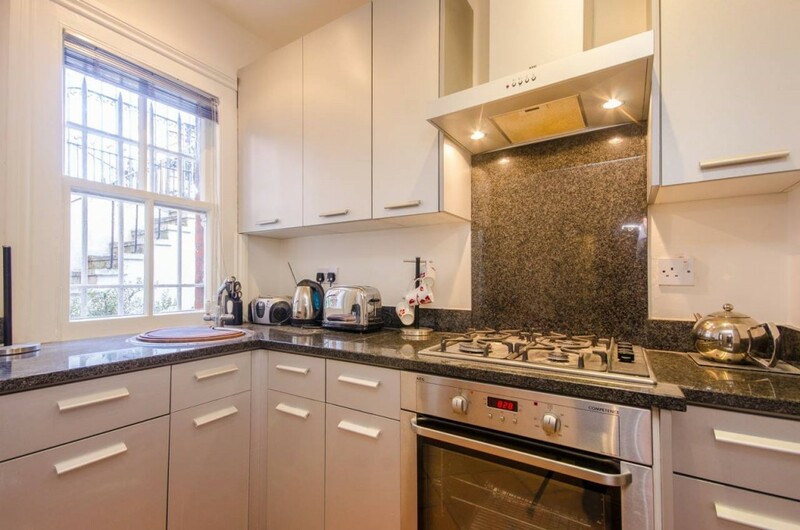 This Kensington studio flat is within the desirable development of Sheffield Terrace. Sheffield Terrace is so desirable as it is within walking distance to both the market, shops, and restaurants of both Kensington and Notting Hill. The stately buildings are red brick faced in the mansion row conversion style and offer plenty of windows for natural light. The complex is surrounded by an expansive green space and is equally close to Kensington Park, and Kyoto Gardens. Sheffield Terrace is between Campden Hill to the east, and Church Street to the west. Your Kensington studio flat opens into a large reception room that also holds the dining room table. The dining area located under a large picture window. The window has floor to ceiling luxury curtains. The reception room also has bright light coming from the Kensington studio flat front door window. Immediately off the entry to the studio flat is the full bath that is very oversized for such a unit. Included with a lavatory and mounted sink is an oversized stall shower. The show is tiled in white and has more than enough room and glass walls. 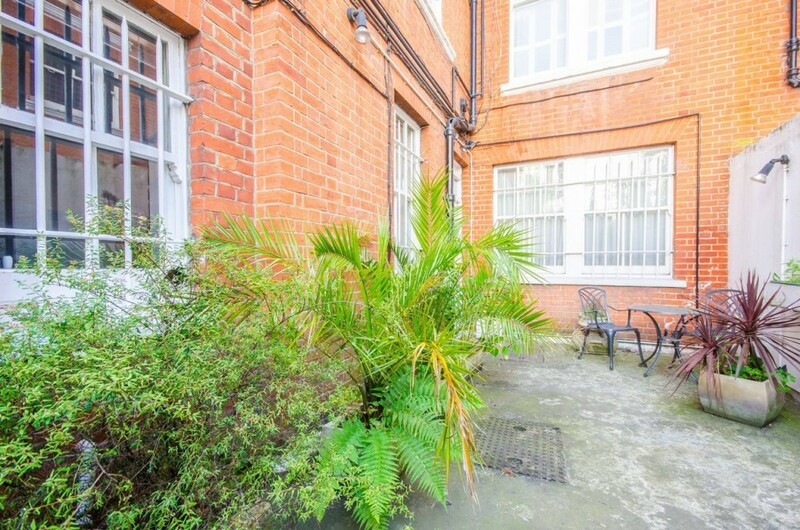 Perhaps the greatest feature in this Kensington studio flat is the outdoor space that your unit has exclusively. Along the large windows are a hedge and thriving planted bed, with planted pots anchoring the other side of the patio. There is easily enough room for a table, umbrella and chairs to be able to entertain guests outside. In the reception room, you will find all the built in wardrobe space that you need. It is furnished with a mute neutral gray sofa and pillows to match the curtains. There is also a unit in which to hold your television set that is the tenant’s responsibility in the Kensington studio rental. Lastly, but not least, is the full-size kitchen in this apartment. A favorite of all amateur chefs, the Kensington studio flat has a four burner gas stove and full-size oven with hood fan and granite backsplash. The counters are granite gray, and all the numerous cabinets are white. There is also two beautiful windows that overlook the patio and allow in plenty of light. Don’t miss the chance to break into a community of the elite while maintaining a frugal budget.